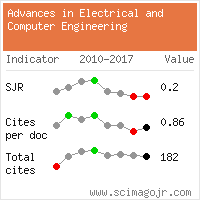 Application of the Firefly Algorithm for Optimizing a Single-switch Class E ZVS Voltage-Source Inverter's Operating Point, KLEMPKA, R., WARADZYN, Z., SKALA, A. 13 results found containing all search terms. Website conception, design and maintenance by Eugen COCA. Content updated on 28 Feb 2019. Site engine updated on 28 Feb 2019. This page was generated on the server in 1.131 seconds and loaded in your browser in > seconds.